On to the content of the (excellent) article…. 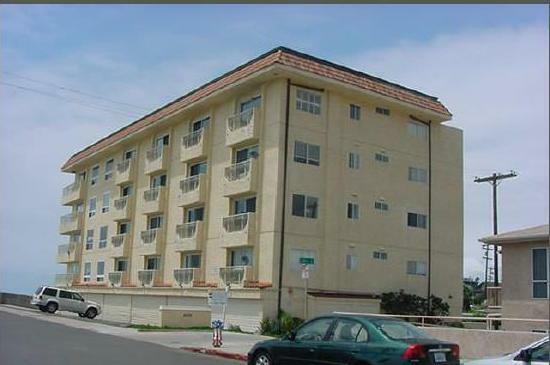 In 2006-2007, when City staff was working on amendments to the Zoning Code to be in compliance with a State “Density Bonus” law mandating that the City offer developers certain incentives or concessions for inclusions of affordable units. One concession would be “density bonus” allowances, i.e. an increase in the number of units allowable on a site as well as variances on height, FAR, parking and setbacks. 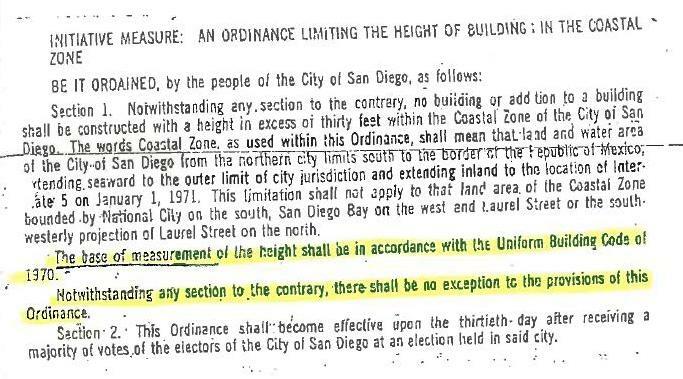 Staff also argued that State law *always* superseded local laws, so included language stating that concessions could include exceptions to all height limitations, including in the Prop D “Coastal Height Overlay Zone”. Furthermore, Staff attempted to make such determinations ministerial, that is, approval by staff as a Process 1. Staff argued that State law trumped all local laws. 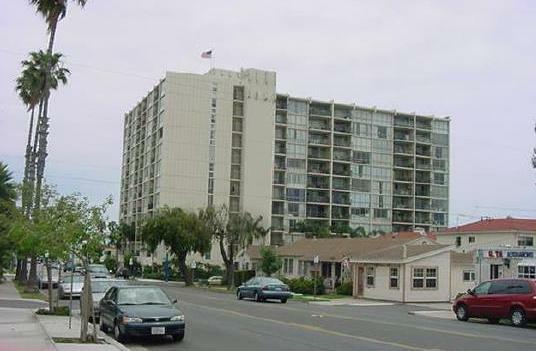 It took some serious push-back to get the language changed to acknowledge that (because it was a citizen initiative rather than a legislatively-imposed height limit) exemptions to the coastal height limit could not be offered as an incentive for including additional affordable housing in a project. As for Sea World and their exemption to the 30′ height limit (1998), so far they are constrained to keep new attractions above 30′ within the area one must pay to enter. So far, the only projects above 30′ are the Splashdown ride and the Education Center. The approved changes to the entry, which included a lighthouse, were not built and a different entry reconfiguration subsequently completed. In 2001, a new Sea World Master Plan – required by the City as a result of voter approval of the height limit exemption and Sea World’s one-page generic list of possible future projects – was incorporated into the Mission Bay Park Master Plan. In 2002, the Coastal Commission approved five “Tier 1” projects proposed by Sea World and incorporated the projects into the Local Coastal Program (LCP). As a result, Sea World is now required to go through a substantial local review process of any project over 30′, starting with the Mission Bay Park Committee, so now citizens will have plenty of advance notice of such projects. I thought it interesting to learn that the new owners of Sea World decided to dig a big hole for their planned new roller coaster rather than face the public review process up to and including Coastal Commission. What we now should keep our eyes open for is renewed interest by Sea World in building a hotel in the Hubbs research center is now located. The Coastal Commission placed a 10-year moratorium on Sea World pursuing the hotel project, which is now passed, but also required certain traffic & needs assessment studies before a hotel proposal can move forward. Of more immediate importance is the requirement placed by the Coastal Commission on the City of San Diego to complete “substantial improvements” on Fiesta Island and South Shores before any major leasehold redevelopment plans can be considered. It’s way past time for the City to move forward on the Fiesta Island plan, approved by the Mission Bay Park Committee in September, 2007, and again in December, 2010 after changes forced by one user group supported by Mayor Sanders. Very thorough coverage on this important topic Frank, thanks so much. I’d like to thank Frank for the in-depth pieces on the 30-foot height limit. It is truly a shame that the people we elect to city offices and the civil servants our tax dollars pay for are not guarding our interests but seem rather more interested in serving the narrow interests of development. A big part of the problem is that the Development Services Department is funded by development fees. What incentive is there to deny any project or require serious modifications to a project when they need the fees to fund their department? I would start by renaming the department. It isn’t supposed to be a service department for development, its supposed to be a department that enforces codified development rules so that development conforms to the law. I would just call it simply the Building Deartment. Frank touched on several key points. One was the variance issue that the OB Planning Board has been fighting along a particular section of West Pt. 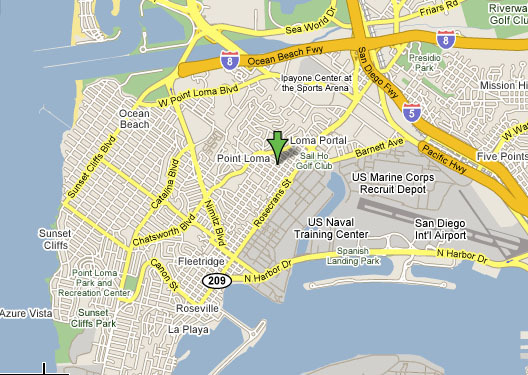 Loma Ave., but in fact occurs regularly. In my years of experience on a planning board, I saw many instances where developers wanted variances to the Municipal Code just so they could build what they wanted on a lot that was not suited for what they wanted to build. We heard all kinds of sob stories. One I remember was a applicant who wanted a variance to exceed the floor area ratio of his home to build a third story room for his aged mother. When asked why he couldn’t accommodate mom on the1700 square foot first floor, he just said it was impossible. Unfortunately,the City never saw a variant wit didn’t like. The defense of the 30-foot height limits starts with rehabilitating the Development Services Department by changing the funding so that it is not dependent on fees. This department needs to go back to enforcing the code, not helping developers find ways around it. As The OB Planning has pointed out, the City is attempting to “re-zone” areas using variances instead of doing it properly with public review. The recent changes in theMunicipal Code now allowing kitchens in guest quarters and half baths in accessory buildings is another defacto re-zoning move essentially turning areas zoned for single family homes into lots that now continue two homes, all without going through the formal re-zoning process. Frank also, mentioned that folks ignore their local planning boards,and that is very true. These boards are the first line of defense, albeit a weak one. When a planning board votes to approve a project, the City waves the approval high for all to see but when a planning board votes to deny a project, it is barely mentioned. Get involved folks, these are important groups that will lead the defenses of you neighborhoods. One other thing. Every planning group area across the City has a community plan created, in some cases, 20 or 30 years ago with great effort. Some of these have recently been updated to the tune of hundreds of thousands of dollars. Responsible architects and developers take these plans into account when creating projects but others ignore them because the City ignores them. These detailed community plans were never made a part of the Municipal Code or the City’s review process. The City will tell you that review of projects for conformity with the community plans is the job of the planning groups and the City does not consider these plans when performing a project review. But, the City then ignores the recommendations of the planning groups. If they won’t listen to the planning groups, then this review should become a formal part of the review process, starting with the results of the planning board reviews. If this system was in place now, OB would not be fighting with the City about the out-of-place projects on West Pt. 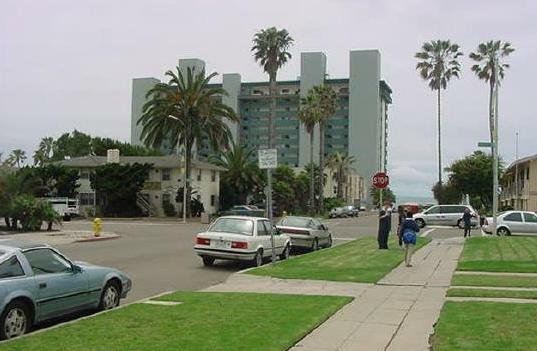 Loma Avenue. But, despite OB’s vehement protestations, one three story building is up and another is being built, structures that clearly do not conform with OB’s community plan. Well said on all, Geoff. Yeah, that one is probably 30 feet from the grade most of it sits on, but what a monstrosity. Might as well just paint a big middle finger on the wall facing the cottage behind it. I do believe that the property is actually just over the line from the OB Planning Area and into the Peninsula Planning Board’s jurisdiction. Just by nature, I think they would have a tougher time holding the line on that, as it is a bit less beach cottagey in their district. Interesting that the most sacrosanct aspect of the ob ‘precise’ plan is based on ambiguous rule. Sean – can you try to explain what you mean? I read so many articles defending the property d and how it represents the will of the people, but but this is the first time I have read how vague the rule was written. Vague? No building over 30 feet high west of I-5. Your article did a good job describing the confusion that revolves around it. 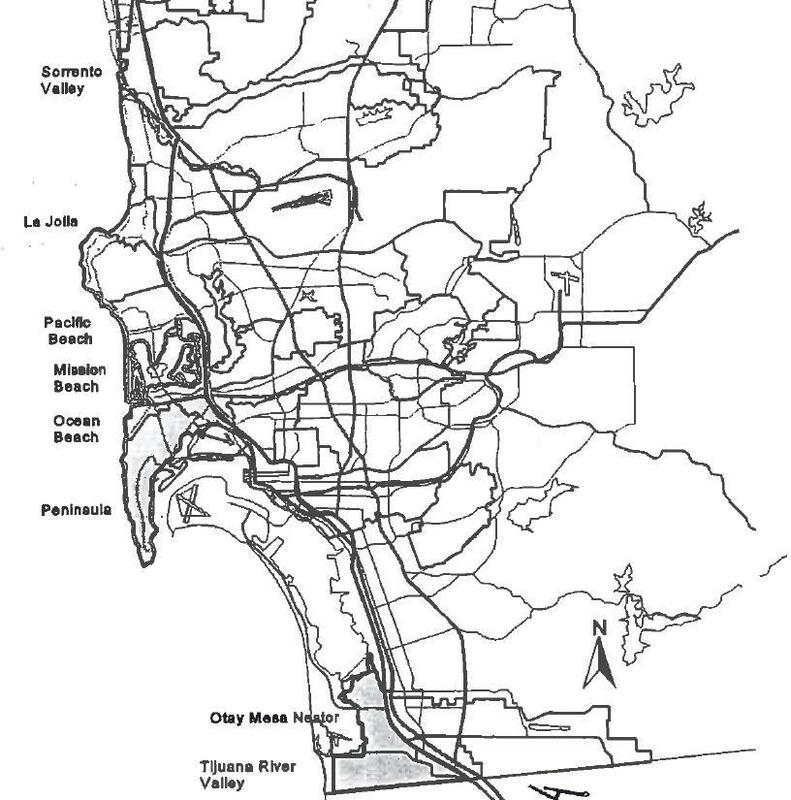 With Mission Bay being the attraction it is and part of our California/San Diego coastline, why aren’t the communities of “Bay Park, Bay Ho, Overlook Heights”, less than a half- mile from water’s edge considered under the CCC regulations? These areas are much less than 5 miles from the mean high tide line. 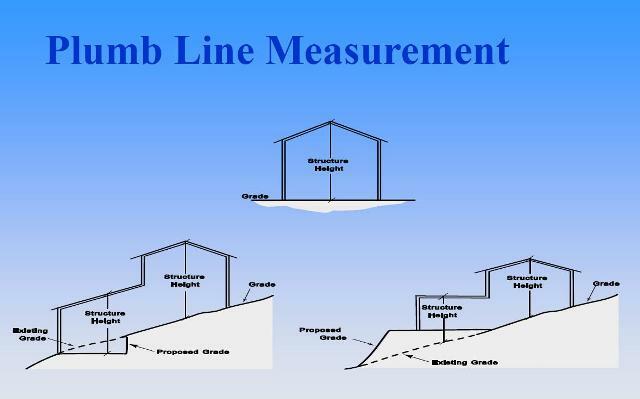 Is that why the Clairemont Mesa Height Limit Overtlay Zone was created? How does this overlay zone protect these areas from the increased height and density developments that are now planned and being pushed by the city and developers because of the Midcoast Transit Corridor Project?